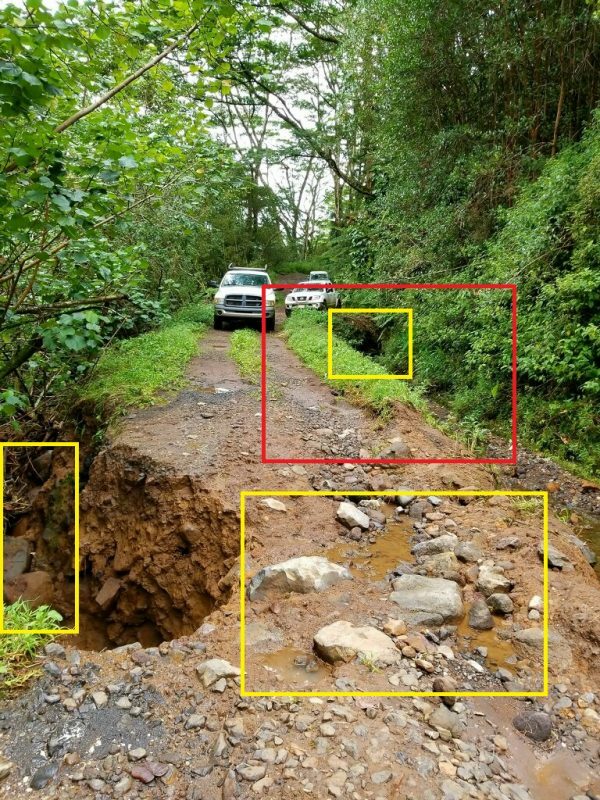 Wailua, KAUAI – The Department of Land and Natural Resources, Division of Forestry and Wildlife Kauai has closed Loop/Wailua Management Road beyond the point popularly known as “Jurassic” gate. This area will temporarily be closed to the public due to hazardous road conditions due to recent weather events. The section of the road beyond “Jurassic Gate” will be closed to all members of the public, as well as all forms of traffic. Members of the public are advised to avoid this area due to the unstable nature of the road. DOFAW Kauai requests the public’s cooperation and understanding of this temporary closure until the necessary repairs can be made. Pedestrian traffic is not encouraged due to the difficulty the area presents for emergency services to respond in the event of an accident. Emergency Road Repairs will be made as soon as is feasible.